A serious artist always ensures her paint and tools are properly cared for. It seems an artist 100,000 years ago took enough care to allow us to study those tools today. 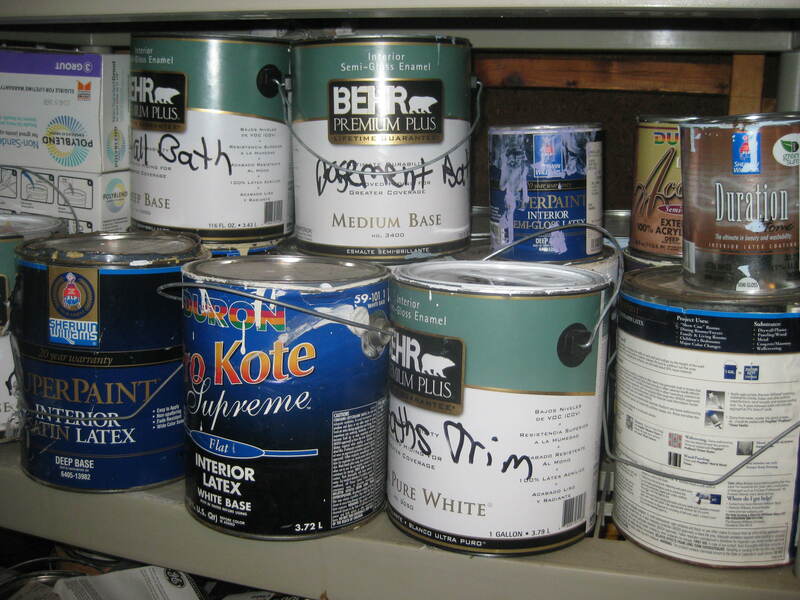 Is it possible that 100,000 years from now, scientists will excavate the paint from my garage? This morning I learned of a new report in the journal Science of preserved art supplies found in a South African cave. They date back 100,000 years, far earlier than the first evidence of produced art. (See this article by Brian Vastag in The Washington Post.) Excavators found evidence of paint production and use — a canine bone likely used as a brush, a seal bone from which bone marrow likely was extracted as a key paint ingredient, a tortoise shell in which to store paint, grinding and pounding stones to crush the key paint ingredients , and evidence on these tools of ochre mixed with bone marrow, charcoal, flecks of quartz and a liquid (most likely water). That complicated chemical concoction was paint, experts at Paris’ Louvre confirmed. Art is not separate from but integral to culture: While we can’t be sure they used this paint to adorn walls (limestone build-up would have long ago obscured such works), previous excavations from this cave — Blombos, on the coast of South Africa overlooking the Indian Ocean — have found this paint used artistically. It was found adorning beads and allayed in cross-hatch patterns, all of which are now considered the oldest evidence of art. But there were many possible uses of this paint beyond art. Scientists say the paint could have been a sunscreen or insect repellent. I would posit that, just as today we mark hiking trails with stripes of paint on trees, this paint could have been used by these nomadic hunter/gatherers to mark trails, including to this cave. Scientists say the paint also could have been used for face ornamentation, both artistic and practical. Today tribes in south Africa paint their faces and torsos to identify which tribe they’re in and their marital status. So whether it’s someone’s face or the side of a tree, this tool of expression has both practical and artistic uses. The ancestors of these ancestors, who first determined both the chemical process to produce paint and the tools to apply it, demonstrate a unity of art and practicality. 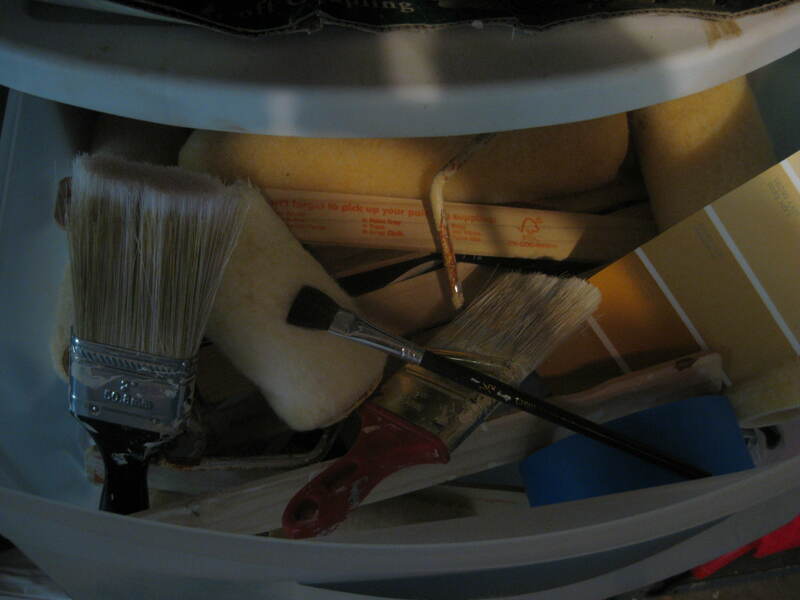 I fear future scientists will not find my organization of painting tools to be as competent as our ancient ancestors. Readers of this blog know I focus my studies on “creatives” of all types. My own background is in music and writing. But visual artists date back to our earliest ancestors as surely as do musicians (percussion) and writers (oral storytellers). How thrilling to know our creative paths were first blazed by distant ancestors emerging at the dawn of humanity. I love this post, Patrick. History like this, the kind that comes from examing the daily lives of people long ago, truly is thrilling. Your last line here sums it up perfectly. We creatives have a long legacy, indeed! Great post, Patrick. It reminds me of one I wrote awhile back about some wonderful pictographs not far from our home; how that paint is STILL there is beyond my understanding (esp. since it was painted on a limestone wall). I kept wondering: how did they make that? What materials did they use? What do those images MEAN (one was a two-headed snake! The others looked like comets)? But you’re so right: art is integral to culture. Such a great reminder and beautiful post. Hello to two of my favorite AZ writers. Glad you liked the post. Jessica, ultimately we’re all storytellers, a very old legacy indeed. Melissa, I believe I recall a blog post you did on those pictographs. Remarkable what survives. Thank you, Ali, for visiting and for the comment! Thank you for sharing that article, Susan. It was both informative and moving, a great example of the power of creative non-fiction. Also, your many talents reminded me of a post I wrote awhile back titled Creatives with Multiple Talents — https://artistsroad.wordpress.com/2011/02/21/creatives-with-multiple-talents/ — that Douglas Eby quoted recently in his new book. If you’re ever in DC you should visit the National Shrine of the Immaculate Conception on Catholic University’s campus. It’s a Catholic basilica, but is done in the Byzantine style and contains numerous icons.